To me nothing quite pops like the color of a flamingo. In the first pic my ballet dancer is in mixed light which made it difficult to capture perfectly. The second picture includes a wood stork – for those who prefer black and white. Terrific shot of a flamingo! I may just try this one. Really wonderful pic., thanks for posting it. Thanks! That would be cool! 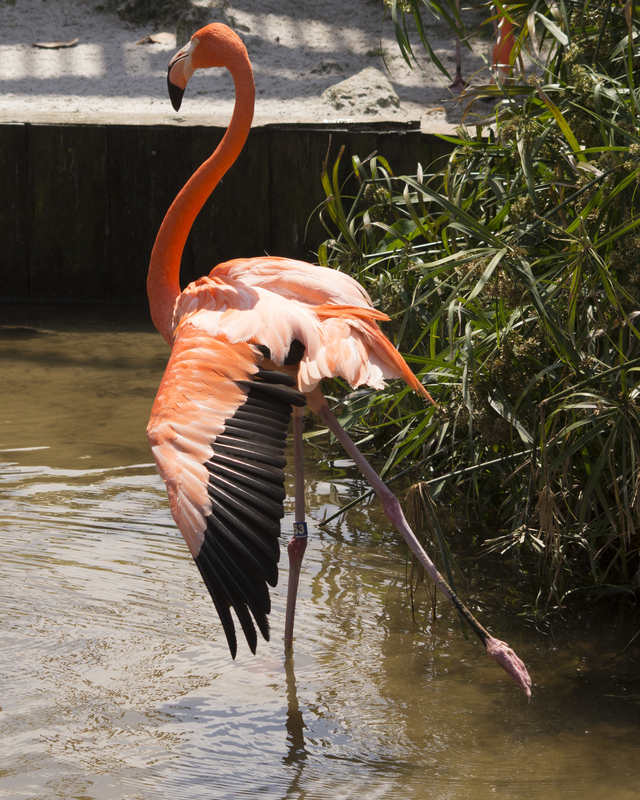 I love flamingos and what a great shot you captured of the ‘ballet dancer’! Thanks! 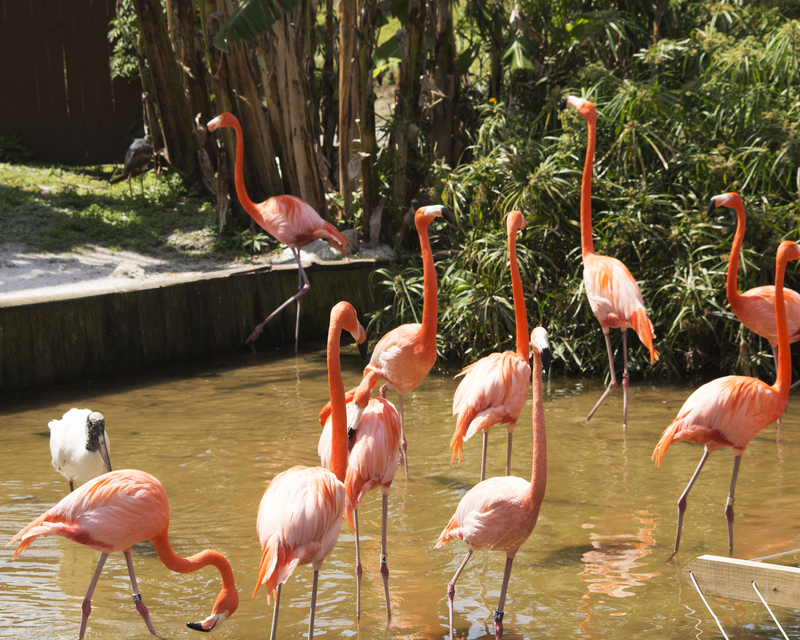 I love flamingos too, nothing quite symbolizes Florida like a couple of flamingos.